Ariana sings Édith Piaf AND Jacques Brel in Wolfville! To buy tickets for this show, click here or visit the Box of Delights Bookshop in Wolfville. Here is the song they filmed for CTV Morning Live yesterday. This is where I try the Neapolitan pronunciation of 'O Sole Mio. The lyrics to this song are Neapolitan which is the language of Napoli and Southern Italy. 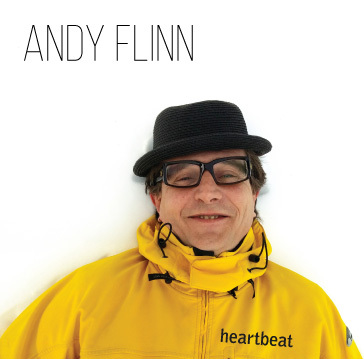 On Sat March 19, 2016 at 8pm, at the Al Whittle Theatre in Wolfville, Andy presents his first singer/songwriter CD! Tickets are now available at Box of Delights Bookshop in Wolfville for $15 in advance. Or purchase tickets online. Well this summer has been filled with great things. On a personal note, the birth of our niece Jupiter (Kamila's daughter! ), our sister Sophie's wedding, tons of family visits and great weather. On a musical note (heh heh), getting to perform at the Halifax Jazz Festival, the Mosaiq Multicultural Festival in Moncton, and the Festival sure le Canal in Montreal, plus a number of really nice shows around Nova Scotia from Cape Breton to Annapolis Royal. Lots of exciting events still to come this year. First off we are greatly looking forward to the Deep Roots Music Festival in Wolfville Nova Scotia where we will be performing the entire PIAF show at Grand Pré National Historic site (Multimedia Theatre) on Wednesday Sept 23rd, plus a set on the main stage on Friday night. Visit the Deep Roots site for ticket information on both events. Next up we will be doing a song each at the Night Kitchen in Wolfville on Oct 3, which will be headlined by our sister Sahara Jane & Daunt Lee, plus our friend Tim LaBorie. 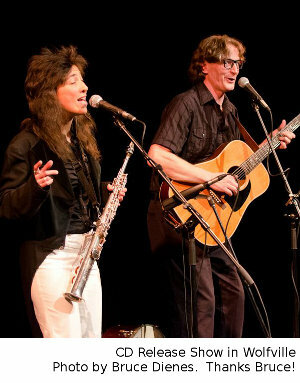 Then we will be performing an Andy and Ariana house concert in Lunenburg at Flavin Chiropractic on Sunday Oct 4 at 2pm. 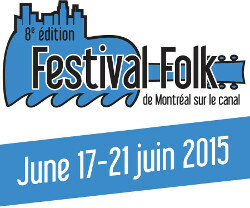 After that we are heading to Ontario for a couple PIAF shows. One will be held at Sans Souci in Belleville on Friday Oct 16 and one at The Pearl Company in Hamilton on Friday October 23, plus some other performances in neighbouring towns (check calendar for latest additions). 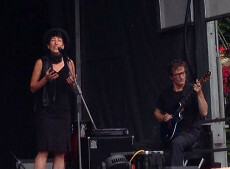 In November we will be bringing the PIAF show to Roadside Willie's in Truro NS on Nov 7 and to Goose Bay Labrador (!) 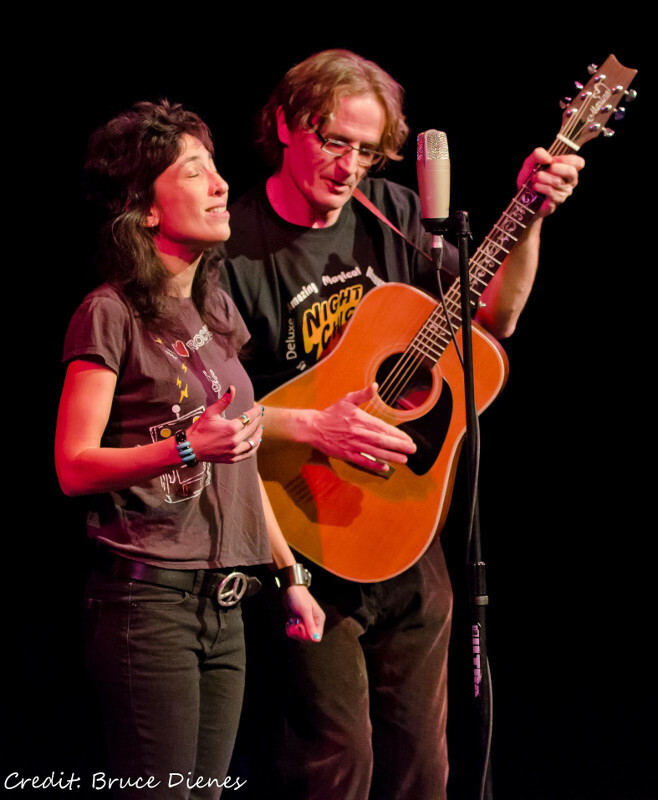 on Nov 14 at the Lawrence O'Brien Arts Centre. We will also be performing at the Alliance Francaise gala in Halifax on Nov 19. To receive A&A news once in awhile in your inbox, sign up here. Ariana's new CD "La Vie en Rose" (produced by Andy!) 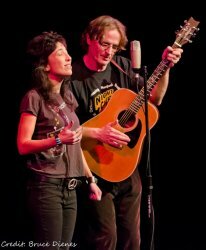 was successfully released with two full houses at the Al Whittle Theatre in Wolfville at the end of April. Check out some of the feedback from the shows here. Ariana Nasr chante PIAF avec Andy Flinn! 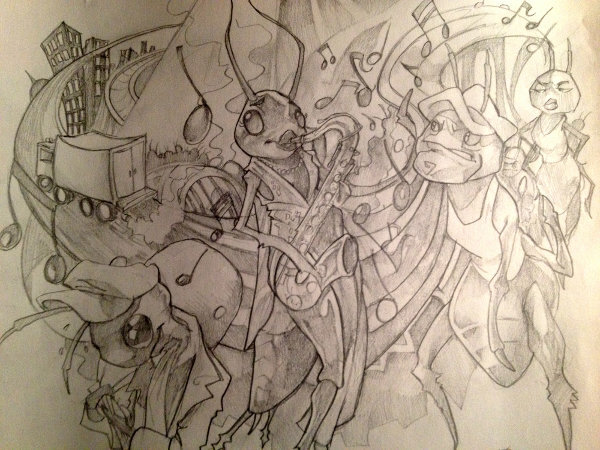 And, we are almost finished the CD! The CD has 11 of PIAF's famousest songs recorded by Andy and Ariana and an arsenal of instruments. Ariana has done a lot of arranging for this one! Stay tuned for samples. The official hometown releases will take place on Friday and Saturday April 24th and 25th at the Al Whittle Theatre in Wolfville Nova Scotia. Visit http://www.ArianaNasr.com/buy-tickets to get tickets! This is a new song, written about Cape Split and performed at the annual War Child benefit in Wolfville Nova Scotia. Thanks to Colleen Dagnall and Jeffrey Dreves Jr. for the cellphone footage! A couple weeks ago we were lucky enough to perform at the lovely North Mountain United Tapestry church in Harbourville NS. Here is that evening's South Mountain song. I have started editing some videos from the Eye to Eye CD Release show we performed with Mark Bezanson last year. Here are the first two, there will be more! We're looking forward to the Acoustic Maritime Festival at Kempt Shore this weekend! Our Andy and Ariana set is on Saturday at 2pm. We will be selling CDs and hopefully USB sticks with our last 3 albums as well! Well, here we are. We're back for another amazing NS summer! We were a little slow starting but we're getting together some gigs around the province during the warmer months, check the shows page for updates. As you may know, this winter we were away working on a project with Ariana's sisters called Ask Your Sister. Their new CD will be released July 10, 12 and 13 in NS, plus both Andy and Ariana and Ask Your Sister will be appearing at the Kempt Shore Acoustic Maritime festival this year! Last Saturday Andy and I presented our last Night Kitchen. The reins have been handed over to the Dead Sheep Scrolls so you can attend their first show on Saturday January 4 2014! They will be running the show on the first Saturday of the month until June, and then from September on. These two with the Funtime Brigade! Ok, that was very cool. We had a fantastic time talking, rehearsing and performing with the students in the Charles P. Allen Wind Ensemble ♥ at their school. Here is Eye to Eye (one of the songs that Nathan Beeler arranged), filmed from the sound booth way up high. Concert at Charles P. Allen High School! We're very excited to be performing at the new Charles P. Allen high school on Thursday Nov 7 with the Charles P. Allen High School Wind Ensemble! They will be performing a set, we will be performing a set and we will be performing two of our tunes with them! How cool... Nathan Beeler - band teacher extraordinaire, has scored 2 of our original songs for wind ensemble! All are welcome, the concert begins at 7pm in the Charles P. Allen High School Performance Space (200 Innovation Drive, Bedford) and it is free admission (donations gratefully accepted). After which we went and had a great show at Artword Artbar. Any Hamiltonians out there who have yet to visit should go now. Other good times had are too numerous to mention so i'll just leave it at that! Eye to Eye is now also available on ITunes and CD Baby! If you are not an ITunser you can order the CD (by mail) or download in a variety of formats (mp3, flac, ogg). Digital download is name your price so if you don't have a credit card, or moolah, just enter 0 and you won't need it. Tues June 4th at Tranzac (Main Hall) in Toronto at 8pm. With Chris Gartner, and Micah and Delia opening! 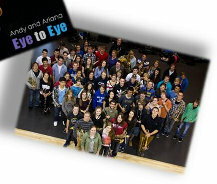 Our new CD "Eye to Eye" is coming out in April! Here is a music video of one of the new songs. New Album coming in April! Happy Winter everybody! This January/February finds Andy and I hard at work on our upcoming release. It's going very well and we will have samples posted shortly. Confirmed release dates include: Sat April 20 at the Al Whittle Theatre in Wolfville NS and Sat April 27 at Union St. Cafe in Berwick NS. More to follow. In other news, we plan to be touring in Ontario in May and June this year so contact us if you'd like any more info on that, or if you have any great ideas for us.